First Lady Shantell Penigar is a woman of virtue, unfeigned faith, and charity. 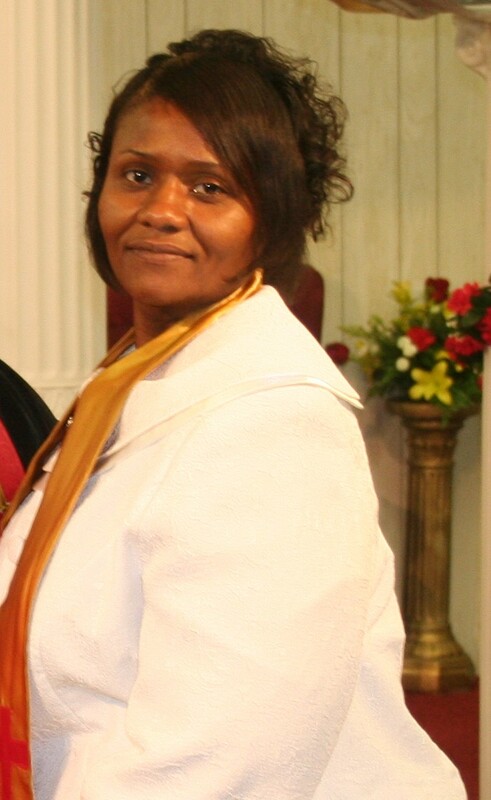 First Lady Shantell Penigar has exemplified the leading role of a devout Godly woman working and assisting fervently with her husband, Bishop Raymond J. Penigar Jr.
First Lady Shantell Penigar has demonstrated her loyalty and steadfast commitment throughout the years in The Light of The World Pentecostal Church Ministry. This anointed warrior has a clear targeted vision to reach the lost, tear down Satan's kingdom, and uphold the standard of true holiness. A tremendous pattern of good works encircles her life and has positively impacted the lives of many she encountered. First Lady Shantell Penigar has preached the uncompromising gospel of Jesus Christ, labored with souls, worked in an administrative role, and in several auxiliaries of the church. Her sincere compassion reaches deep and deemed notable. She is a beacon willing to navigate as needed to fulfill the will of God. Her transparent disposition is graceful, peaceful, and full of integrity. She is a mature influential vessel throbbing in the vein of the ministry of God. First Lady Shantell Penigar is wonderful mother, loving wife, and a priceless jewel ordained by God.